some more goodies.. thought the Pumba and Timone one was great! some more.. like the Halloween one!! God, those are funny! Nothing like it to break up the work day. Thanks, Chris! No prob! Found many more good ones on that site.. apparently my store pic made it on there and thats where I found these. What's the website? I forwarded your last set to some guys in the office, and we were laughing our butts off. Seeing as every single picture has the word Ripiculous.com marked on it, I'm going to guess it's from Ripiculous.com. Fear my awesome powers of deduction. Ding! 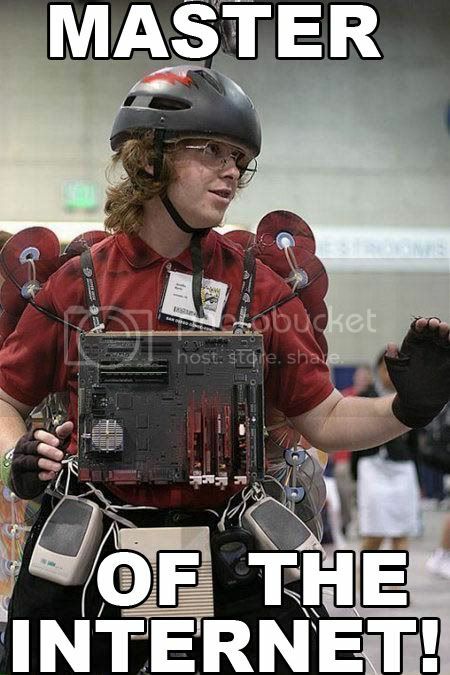 Gabe, the master of the Electronic Universe. I kinda walked into that one, didn't I? Thanks for showing my mastery of the all things internet. New pictures for the thread.